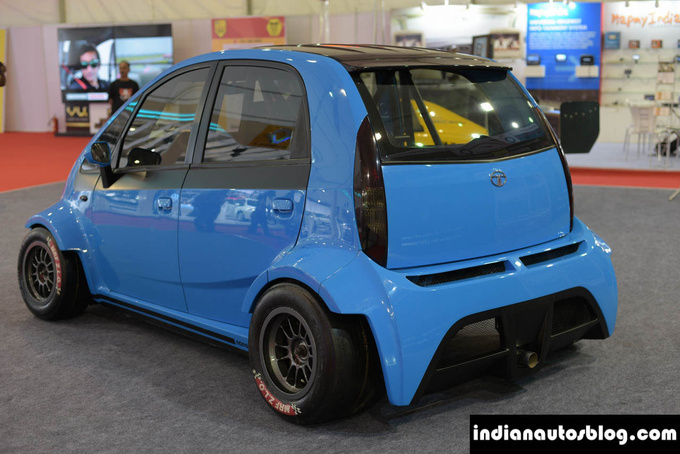 At the time of its launch, the Tata Nano wasn’t exactly intended for people with a sporty driving style. 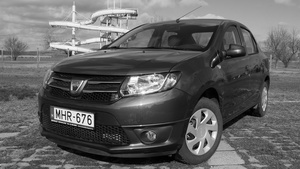 It was merely positioned as a reasonably priced car fit for the masses. Exotic as it may be to most of us outside of India, probably no walls of budding petrolheads have ever been adorned with posters thereof. Well, that could be about to change. 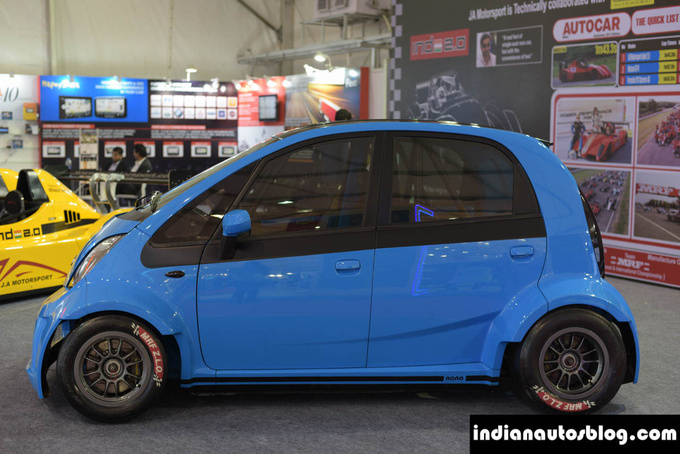 The overhaul of the Nano was done by Indian tuning company JA Motorsport who replaced the 625 ccm 2-cylinder engine by a 1.3 in-line four generating approximately 230 bhp (171.5 kW) and enabling the "Super Nano" to reach a maximum speed of 190 km/h (116 mph). A quick reminder: the stock car tops out at 105 km/h (65 mph). 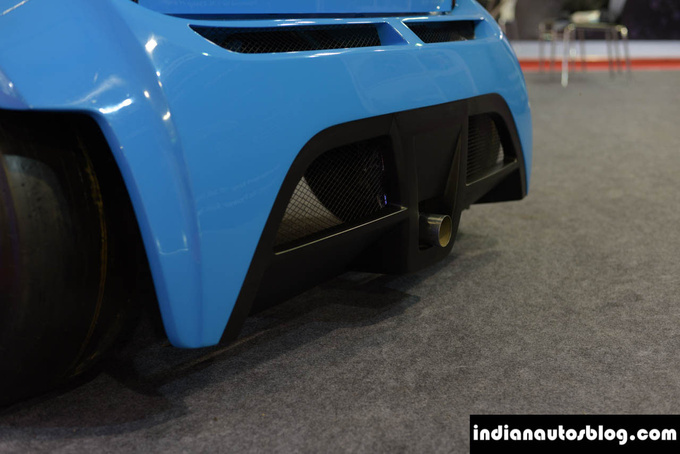 It now has a weight to power ratio of 2.6 kg/hp. The chassis had some work done, too. 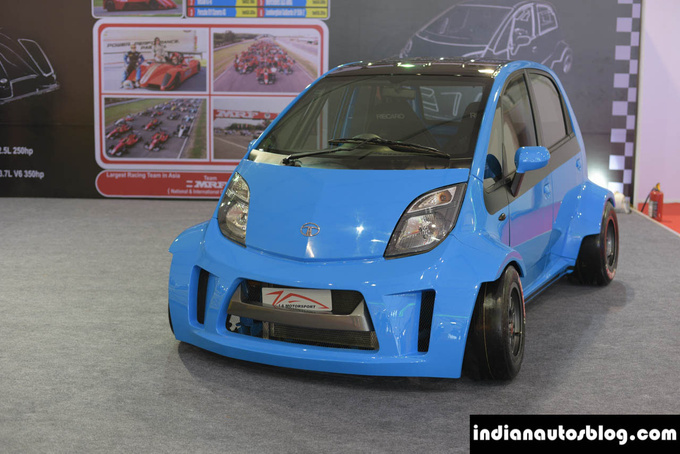 It has received widened wheelarches and a rollcage on the inside clearly indicating we’re not dealing with an ordinary Nano here. Further features include AP Racing brakes and tiny 13” slick tires on motorsport rims for optimum grip. Inside the cabin you’ll find a pair of Recaro seats, a race-spec steering wheel with paddle shifters, and carbon inserts on the dashboard. To lose weight, the rear bench was simply eliminated. As for the price, gone are the days of a Super Nano for peanuts. The price of this hottie is about €32,300 - that would buy you about 20 of the 624 ccm original.